Last year the Hubby and I spent Valentine's Day watching House of Cards series 2 on Netflix. We had a brilliant day spending time together and enjoying a great TV series. What more could you want? 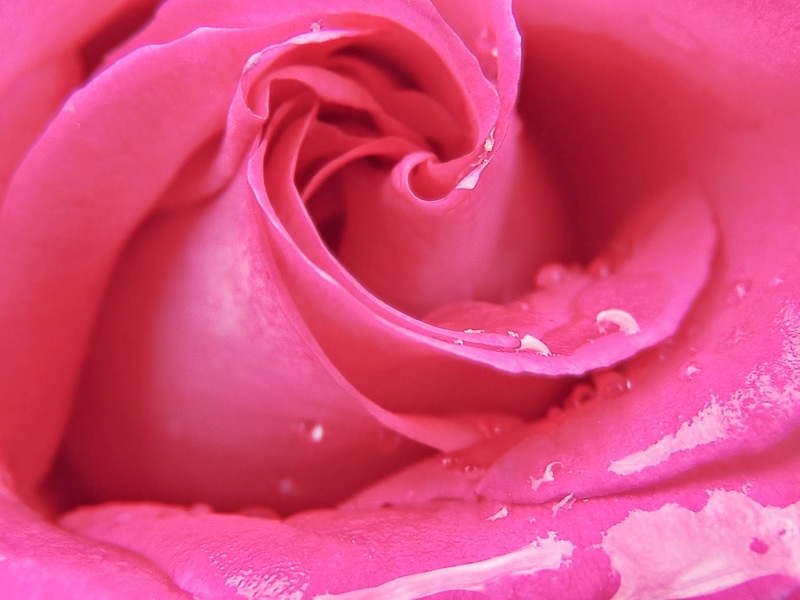 Okay, maybe a bouquet of these beautiful things would be nice too! So far this year we have no plans for Valentine's Day, but I'm thinking a relaxing bath, a good movie, popcorn and a snuggle on the sofa. Nothing goes better with a relaxing bath than the perfect soap or shower gel. 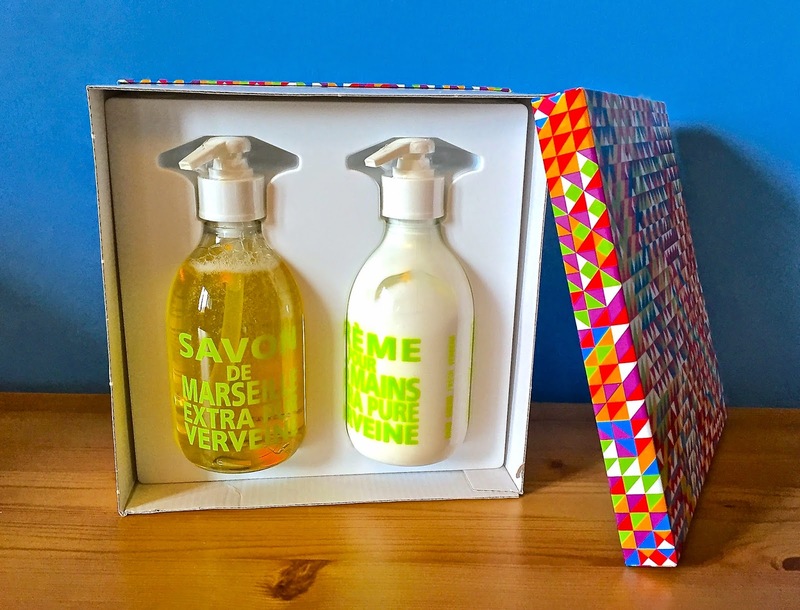 Compagnie de Provence Liquid Marseille Soap is scented with fresh verbena and smells lovely. It is invigorating and whenever I use it in my morning shower I am ready to take on the day. The soap doesn't leave my skin feeling dry or tight. 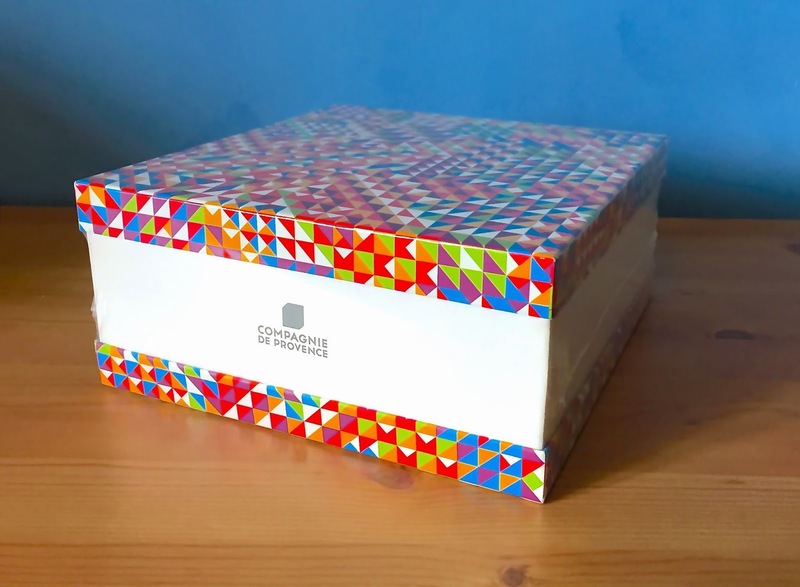 It is available to buy from iwantoneofthose.com for £9.50. After my shower or bath I moisturise and my hands need particular attention. This is when I use Compagnie de Provence Hand Cream, again scented with fresh verbena. The hand cream with shea butter, olive oil and vitamin E, is light and airy. It isn't too oily and keeps my hands soft and moisturised all day. I used to use L'occitane hand cream but I switched to this because I only need to use it once a day. I'm considering buying more just to make sure I have enough to last and at £13.00 for 300ml it is worth it. The liquid soap and hand cream would make a great Valentine's gift and if your boyfriend/hubby needs a hint (or even you), look no further. As you know the Hubby and I love movies and the classic accompaniment to a movie is popcorn. My boys are always asking for popcorn whenever they watch their movies and I can't keep buying the packaged toffee popcorn, it's just not good for them. I found a replacement though and it's perfect. The Heat 'n' Eat Popcorn Maker from iwantoneofthose.com is great. 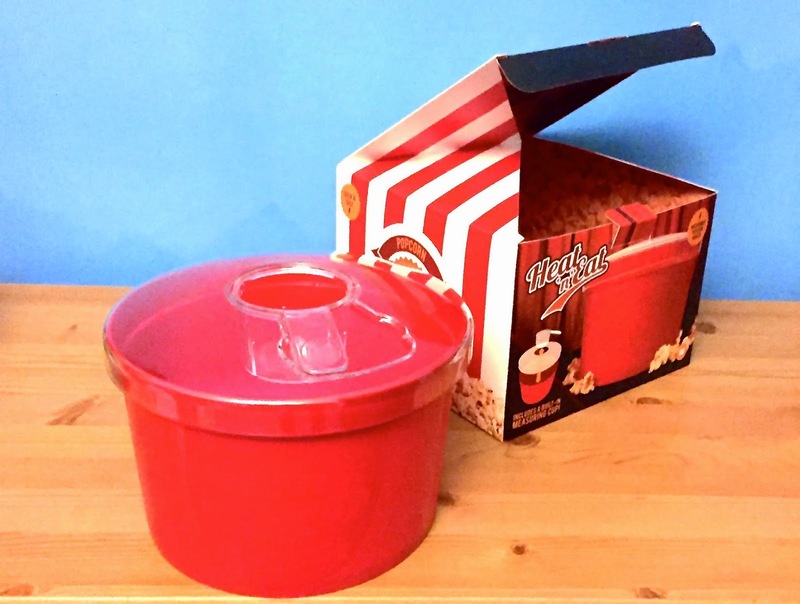 Buy a bag of popcorn kernels, fill up the measuring cup and tip the kernels into the big red tub. Then all you need to do is pop the tub into the microwave and two minutes later you get hot, fresh popcorn. A bonus is you can choose which topping to add to your popcorn. 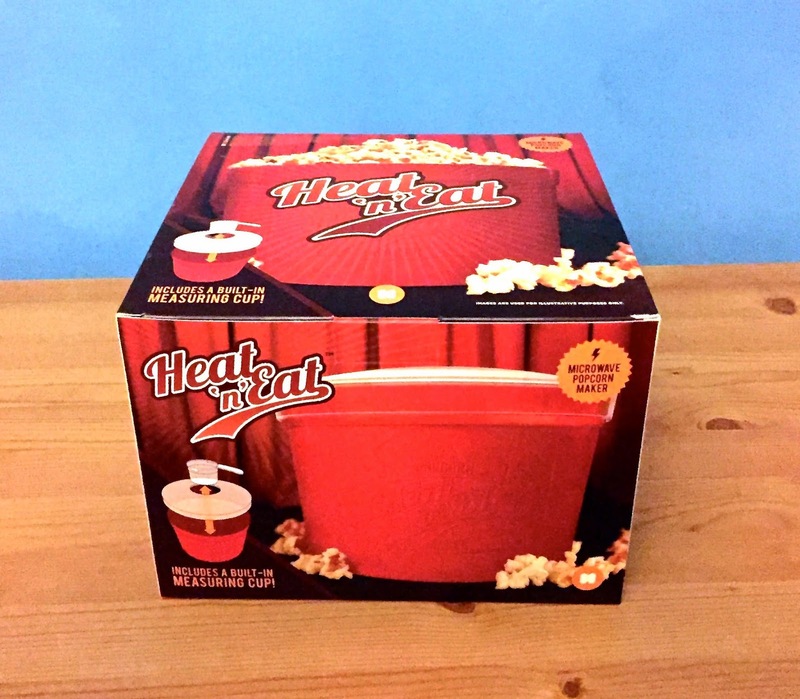 You can buy the Heat n Eat Popcorn Maker from the iwoot website for £14.99. This popcorn maker is so convenient, I love it! The movie hasn't been decided yet, maybe it'll be Gone Girl. I saw it available for rent on the Apple TV so that's a possibility. There's always our favourites but I'm thinking we should try something new. What plans do you have for Valentine's Day? I was sent the products in this post for the purpose of review, all opinions are my own. They're releasing HOC3 on 27th Feb!!! Not long now. Yay!